Backhoes and loaders can reduce the hard manual labor of employees in many industries, such as farming, construction, and road work. However, workers using this heavy machinery and those nearby them can suffer life-altering injuries and deaths in accidents. Often these tragedies occur when employers fail to follow safety measures that would prevent these workplace accidents from happening. Insist that workers slow down backhoe and loaders when conditions—such as rough ground, going up steep hills, or heavy loads—require it. Have workers read the operator’s manual for the machine they are operating, and review the safety instructions and machinery controls before they operate the backhoe or loader for the first time. Know where ditches, stumps, debris, and undercut banks are in the work area and plan so workers can avoid these areas. If front-end loaders will be carrying high loads, review where obstacles such as power lines are and ensure that operators will keep a safe distance from them. When excavating, be certain to use a platform under the backhoe’s back wheels and stabilizers to prevent cave-ins if there is any danger that the soil is unstable. Never allow extra riders on the backhoes and loaders. When starting the machinery, the driver should be in the driver’s seat and be certain the machinery is not in gear. He should also check that no one is in front of the wheels before starting the engine. When excavating on a hill, the backhoe should be swung uphill to dump the load to prevent the backhoe from tipping over. The operator should always shut off the engine, lower the backhoe bucket, and apply the parking brake before dismounting the machine. Do not let workers use a front-end loader to lift people as the hydraulic system could fail or the wrong control could be pushed, causing an employee to fall. 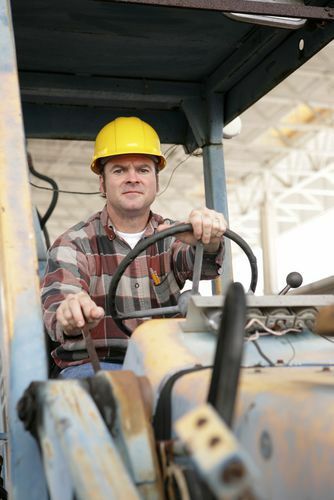 Was your backhoe or loader accident caused by your employer failing to follow these safety tips? You could be entitled to benefits under New Jersey’s workers’ compensation. Start an online chat today to schedule a free, no-obligation consultation to learn how I can help you get the workers’ comp benefits you deserve.